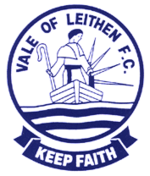 Vale of Leithen Football Club is a member of the Scottish Lowland Football League. The club ground is situated at Victoria Park, Hall Street, Innerleithen EH44 6HF. This document details the regulations that must be adhered to whilst present within Victoria Park. 1. All matches are played in accordance with the Rules and Regulations of the Scottish Football Association and the Scottish Lowland Football League. 2. Play is not guaranteed to take place on any particular day or at any particular time. The club, with agreement of the Scottish Lowland Football League, may change its advertised fixtures without prior notice and without liability. However, every effort will be made by the club to publicise any changes to previously advised dates and/or kick off times. 3. All supporters entering Victoria Park must pay for admission in accordance to advertised conditions and rates including season tickets and concessions. 4. Unauthorised persons are not permitted to enter upon the field of play. All persons are required to keep off the playing surface and stay on the spectator side of the park barrier. 5. Only persons specifically authorised by the club are permitted to offer match programmes, food, beverages or any other articles or substances for sale withiin the boundary of the ground and the area of its immediate vicinity. 6. The Smoking, Health and Social Care (Scotland) Act 2005 and the Prohibition of Smoking in Certain Premises (Scotland) Regulations 2006 state that no smoking is allowed in premises that are wholly or substantially enclosed. This includes all enclosed buildings within the ground, including the covered enclosure. Those who do not comply with the smoking policy will be liable to a fixed penalty fine and/or criminal prosecution. 7. The obstruction of gangways, access ways, exits and entrances, stairways and like places is strictly forbidden. Nobody entering the ground shall be permitted to climb any structures within the ground. 8. Mobile telephones and other communications devices are permitted within the ground provided that they are used for personal and private use only. 9. The use of foul or abusive language; racist, discriminatory or sectarian remarks, songs or chants; and the promotion or endorsement of any political organisation are not permitted within the ground or on the club’s property. Vale of Leithen Football Club have a separate Anti-Discrimination Policy. • Whilst in possession of a prohibited container which is capable of containing liquid and which if thrown would be capable of causing injury to another person. • Whilst in possession of alcohol. • Whilst in possession, or under the influence, of any illegal substances. • Whilst in possession of any article or substance whose main purpose is the emission of a flare for purposes of illuminating or signalling or the emission of smoke or a visible gas. • Any article which is a firework. 11. Articles which could, or might be used as a weapon, or to cause offence, or which are regarded by the club or the Police as dangerous or unsafe are not permitted within the ground. This includes items such as knives, fireworks, smoke canisters, air-horns, flares, weapons, dangerous or hazardous items, laser devices, bottles, glass vessels, cans, poles and any article that might be used as a weapon and/or compromise public safety. Any person in possession of such items will be refused entry to the ground, or if found within the ground they will be asked to leave. 12. All persons entering the ground may be required to submit to search by stewards to prevent prohibited articles which might be used to cause injury or damage other persons or property being brought into the ground. 13. The throwing of any objects whether on to the pitch, or surrounding area, or otherwise, is not permitted. 14. Persons use the car parking facilities at the ground entirely at their own risk in respect of their persons, the vehicle and any personal property left therein. Vale of Leithen will not accept responsibility for any damage, accidents or losses. 16. Persons using the car parking facilities are asked to park in a respectful manner and be mindful of other vehicles and neighbouring residents. 17. Spectators are required to exit the ground in an orderly manner as soon as practicably possible after the end of each game. 18. In the event of an emergency within Victoria Park instructions on any necessary course of action will be decided by club officials. Spectators must follow the advice and directions given in the circumstances. 19. At all times, the right of admission is reserved by the club. 20. All persons entering this ground are admitted subject to these Ground Regulations and to the applicable rules and regulations of Scottish Football Association and the Scottish Lowland Football League. Entry to the ground shall be deemed to constitute unqualified acceptance of all these rules and regulations. Failure to adhere to them may result in a permanent ban from attending any future home games. Any breach of Ground Regulations may result in ejection or action by the Police. Vale of Leithen Football Club will keep these regulations under review, with additions or amendments made where deemed appropriate by the club, or on the advice of governing bodies and Police.